This pendant reminds me of a ballerina’s tutu. Light, ruffled and beautiful. I created this piece with sterling silver. It was repeatedly heated and hammered to form resembling a delicate tea rose flower. Once I achieved the desired shape, I soldered it to a handmade swing bale. It was, then, oxidized to bring out all the curves and folds to make it look more like a tutu. Really sweet. 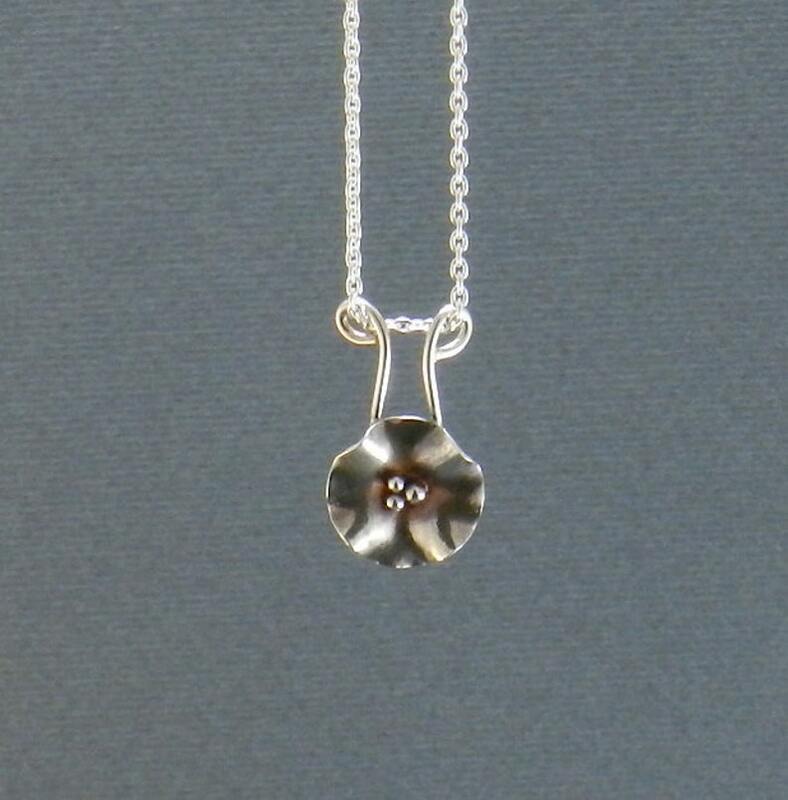 The pendant is ½” in diameter and it hangs on a 17” sterling chain.